While playing on stilts as a child, Percival Pilts declares that he'll 'never again let his feet touch the ground!' He stays true to his word and, compelled ever higher, he builds his stilts so tall that he no longer fits into normal society. Janette Goodey received a diploma in Design/Animation from Unitec Auckland in 2006. Her previous film "Rip Drip Tear" (2009) won the ATOM award for best experimental short. John Lewis received a BA in Multimedia from CSU Wagga Wagga. 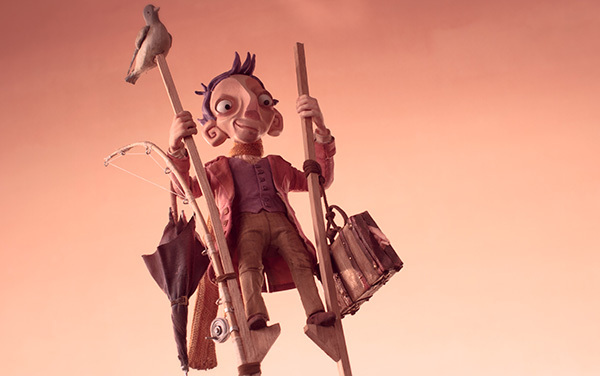 His stop motion film "The Designer" won Best Bhort FIFE 2007. 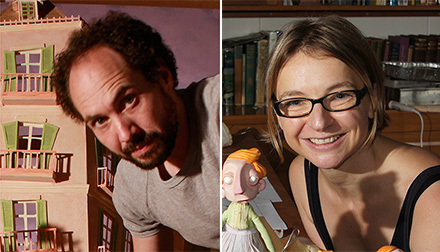 He was also an animator on the Australian feature film "Mary and Max" (2009).